Whether you are a bridesmaid, maid of honour, bridesman or just part of the #squad, we offer hens party packages that truly shine. 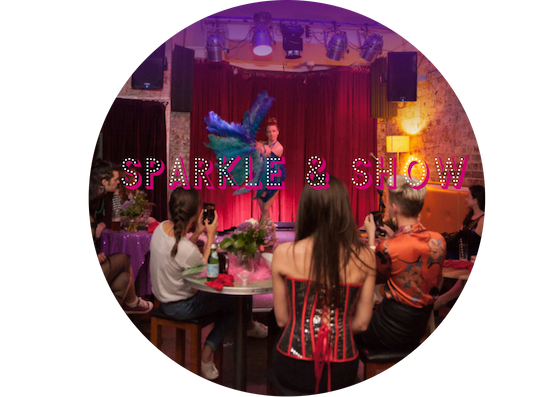 Check out our burlesque party options below, you can come to The Drum Room at Knox Street Bar in Chippendale or we can bring the sparkle to you. Get in touch using the form at the bottom of the page or call Ms Rosa on 0407 744 432. We can’t wait to sparkle with you! For a hens night with extra sparkle sparkle. Holla holla holla c’mon! Get ready to bump and grind in that Beyonce kinda way. Use the form below to chat about a bespoke burlesque hens night.